Phyllocarids are one of the lesser known crustaceans from the Cambrian, and where the earliest animals to take advantage of minerals to evolve hard shells for protection as predators were also evolving. Phyllocarid had a large protective carapace that shielded anterior body parts. This carapace hinged in a manner on the dorsal edge pretty much like a bivalve. 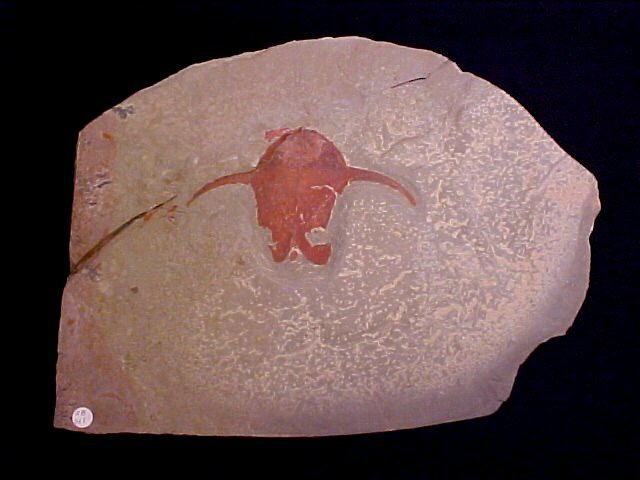 Phyllocarid fossils are normally only the carapace, with soft tissue only very rarely preserved, but such Burgess Shale-type preservation is also found in the House Range of Utah Cambrian site, as seen here. 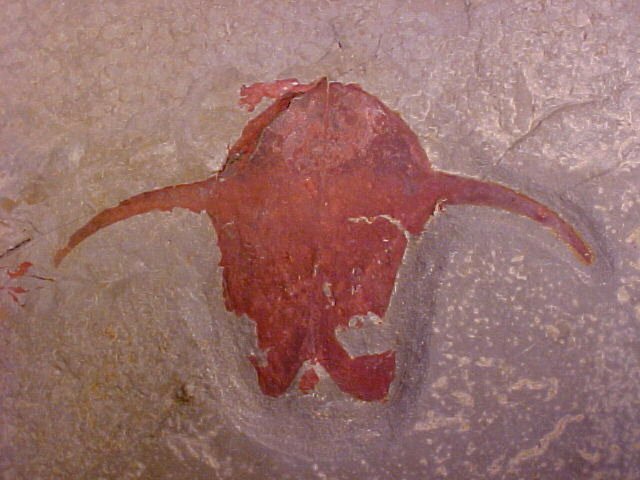 Mineralization has rendered this specimen quite attractive, and exhibiting contrast seldom seen in soft-bodied fossils of Utah. This dorsal view shows the arms the animal used for stabilization. Wheeler Shale Formation taphonomy studies have revealed how some layers preserve soft-bodied organisms, normally with an absence of trilobites, while others preserve trilobites, normally without other fauna with soft parts preserved. Brooks, H.K., and Caster, Kenneth E. 1956. Pseudoarctolepis sharpi, N. gen., N. sp (Phyllocarida), from the Wheeler Shale of Utah. Journal of Paleontology, Vol. 30, No. 1 pp. 9-14.